Though several theories have emerged over the years, the mystery of the boy in the box has been unsolved for over 50 years. Wikimedia CommonsThe boy in the box, depicted on a flyer sent out to residents of surrounding towns. In the Ivy Hill Cemetery in Cedarbrook, Philadelphia, there sits a large plot, kept almost entirely covered in stuffed animals, donated by local families and interested visitors. The headstone reads “America’s Unknown Child,” a permanent reminder of the child who lies beneath it, the one found alone in a box, who no one could identify. 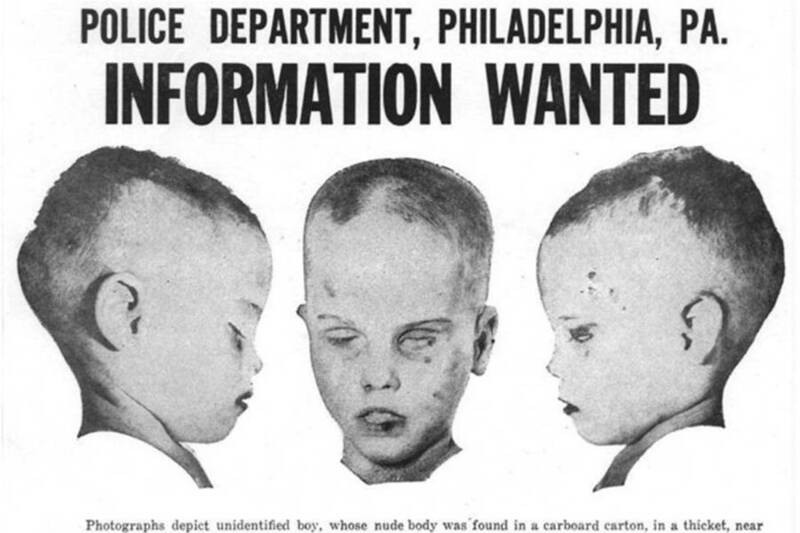 The case of the boy in the box was one of Philadelphia’s most baffling crimes, stumping police for over 50 years, and still, today, leaving hundreds of unanswered questions. In 1957, a young muskrat hunter set out to check his traps, set near a park just north of Philadelphia. As he moved through the brush, he found a small cardboard box, lying discarded on the ground. Inside was the body of a boy, naked, but wrapped in a plaid blanket. Fearing that the police would confiscate his traps if he alerted them to the box, the young hunter ignored it, and resumed hunting. Several days later, a college student driving down the road noticed a bunny, running alongside the highway. The student knew there were traps in the area, and stopped to make sure the animal was safe. As he sifted through the underbrush searching for traps, he came across the box. Though he too feared interaction with the police, the student reported the body to them. Given that the boy was young, between three and seven years old, police were hopeful that he would be quickly identified. However, once they saw the body, their hopes were dashed. 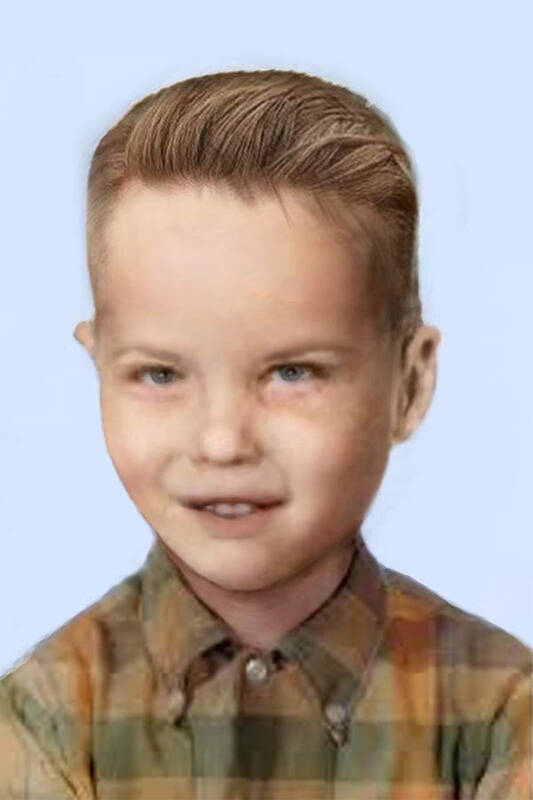 While people would surely be looking for a missing boy who was healthy, well cared for, and clearly loved, it was unlikely that they would be looking for a scrawny, dirty, malnourished one. Unfortunately, the boy in the box was just that. His hair was matted and seemed to have been recently cut as clumps of it still clung to his body. His body was severely malnourished and covered with surgical scars, most notably on his ankle, groin, and chin. Despite the fact that he looked abandoned, police fingerprinted him, hoping to find a match. Sadly, no one did. 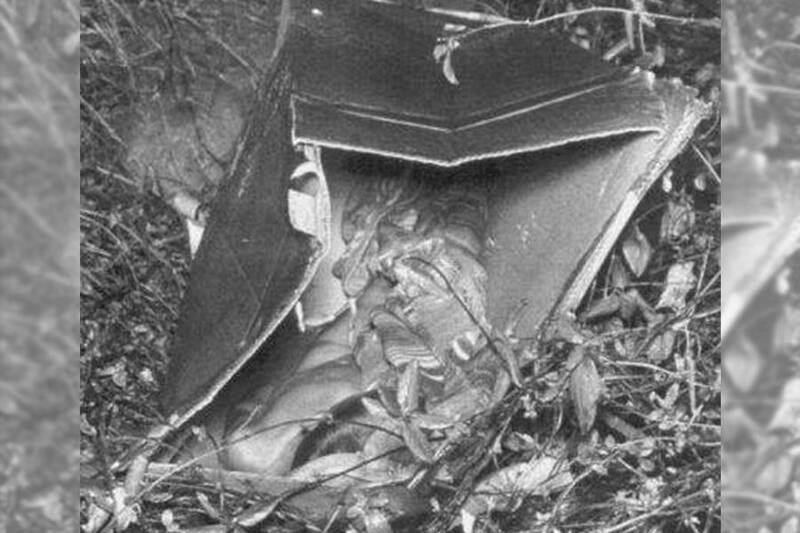 Wikimedia CommonsThe crime scene where the boy in the box was found. Over the next several years, over 400,000 flyers were sent out to the Philadelphia area, as well as other towns in Pennsylvania. A forensic facial reconstruction was done, and a drawing of a happy young boy was included on all of the posters. Flyers were posted in police stations, post offices, and even included in the envelopes with gas bills, but still, no one came forward with information. The crime scene itself was searched and researched several times, but apart from several items of children’s clothing (all of which led nowhere), there were no leads. To this day, the boy’ s identity remains as much a mystery as it was in 1957. Though the case has run cold, throughout the years the publicity and interest in the case by amateur investigators have turned up several theories. In 1960, an employee of the medical examiner’s office was told by a psychic that the boy in the box had come from a local foster home. The police inquired about the boy at the foster home and found blankets similar to the one he had been wrapped in hanging on the clothesline, as well as a bassinet that was sold in the same box that the boy had been found in. The employee theorized that the boy had been born to the daughter of the man who ran the foster home and that his death had been accidental. Despite the employee’s insistence of these facts, no connection was ever made between the boy in the box and the foster home. 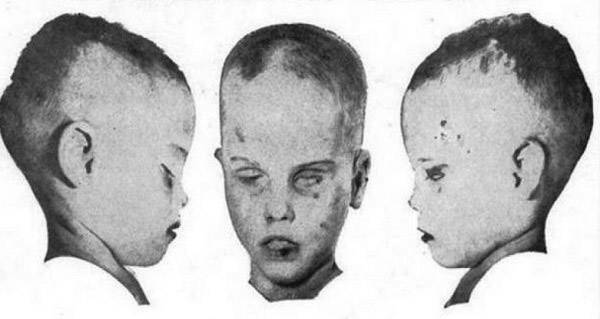 Wikimedia CommonsA facial reconstruction of the boy in the box. It wasn’t until over 40 years later that another theory emerged. A woman, referred to only as “M,” came forward, claiming that the boy had been purchased by her abusive mother, and abused for several years in her home. M claimed that after the boy vomited up his dinner of baked beans, her mother had bashed his head against the wall as punishment. Then, she’d attempted to bathe him, during which he had died. The police initially followed this lead, as there were remains of baked beans in the boy’s stomach, and his fingers appeared to be water wrinkled, both pieces of information that were never shared with the public. They were also encouraged by M’s description of the boy, as a small child with long hair. This fit with their theory that his hair had been recently chopped, as well as an old testimony from a man who claimed to have seen the boy being placed in the box near the woods. Several other theories have been presented over the years, though all of them have eventually been discounted. It seems that the mystery of the boy in the box might never be solved, and that “America’s Unknown Child” could remain that way forever. After learning about the mysterious boy in the box case, read the tragic story of Joyce Vincent, who died in her apartment and went unnoticed for years. Then, read about Elisabeth Fritzl, who was held captive by her father for over 20 years.